The Adventures of Patsy by Mel Graff and Charles Raab. 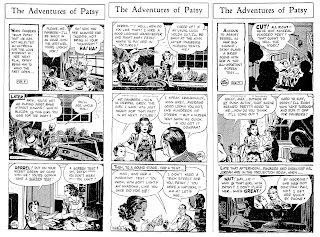 I've been collecting and scanning Patsy dailies for many, many years now and I have several years worth of dailies on my hard drive (All scanned in high resolution.) or as sharp copies. And here comes the best part: If any publisher is serious about reprinting The Adventures of Patsy I'd be more than happy to supply all of my scans for FREE! Even though I don't have them all, and most of them aren't in the best condition, my collection could be used as a starting point or as an extra source if other sources are lacking strips. 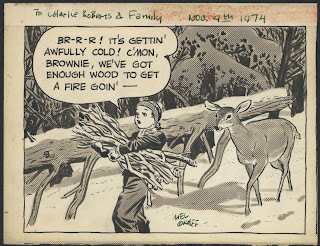 No one will be happier than me if this strip got reprinted. Until then I hope you'll enjoy seeing a few random samples here. The first piece of original Patsy artwork I bought. Still my favorite. Some early ones from 1936. Just look at that Caniff/Sickles mood. Mel Graff at his peak in 1940. 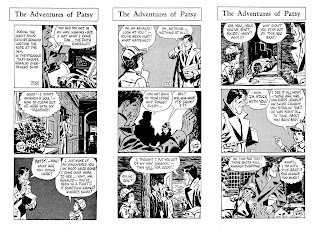 I notice in the recent big book on Sickles from IDW that they show three Patsy dailies, two from Graff and one from Raab, stating that these are all ghosted by Sickles. 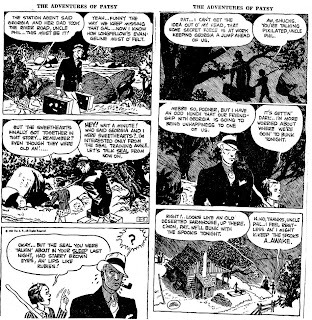 Elsewhere Ron Goulart states categorically that Sickles never ghosted for Graff and that The Encyclopedia of Comics (where the rumour started) got that wrong (but did ghost for Raab, as covered elsewhere by Goulart). I'd be inclined to follow Goulart on this contradiction and conclude that the IDW book is in error. Do you have a thought on the matter? Way back when I first saw Graffs best dailies I thought they was just too good to be by him. But after seeing more and more of his work, I think I was in error and that Graff did them himself. He sure was inspired by Sickles, though. 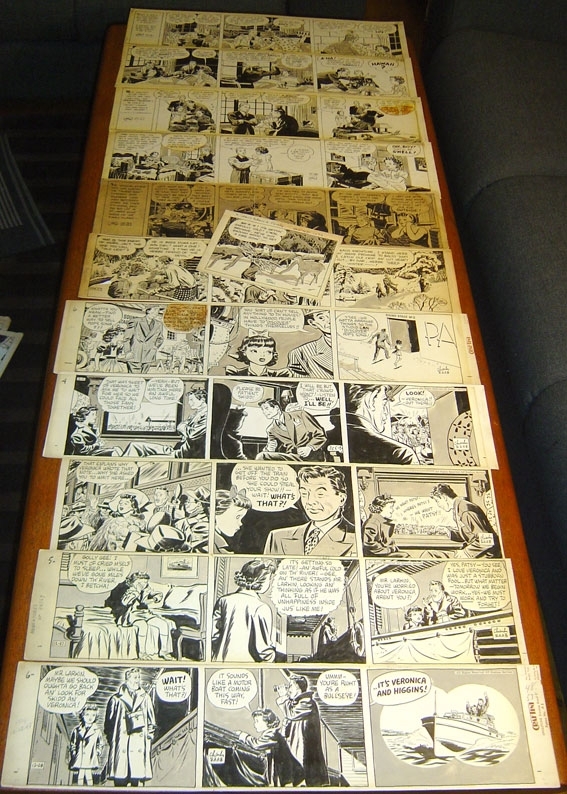 When it comes to Raab you can tell that he got help from Caniff at the start. Even the lettering is looking like Frank Engli's, wich it probably is. There are strips later on that looks like Sickles worked on them. But not always the ones you see used as samples of Sickles work on Patsy. After having studied them carefully I think I can tell the artists apart by looking at the way they draw hands. Raab always did stiff square hands. Sickles did them in his own way. 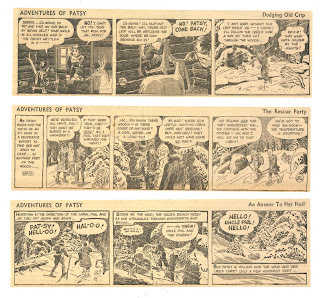 But then again, who knows exactly what Sickles did and how much Raab did when it came to finish the strips. 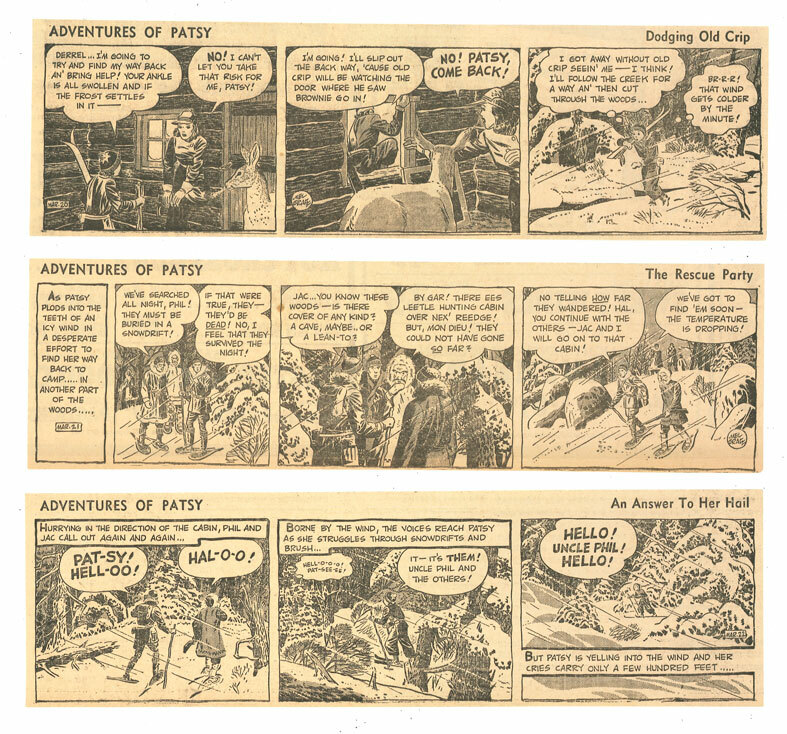 Maybe Sickles did the layout or pencils and Raab made the final touch and inking? 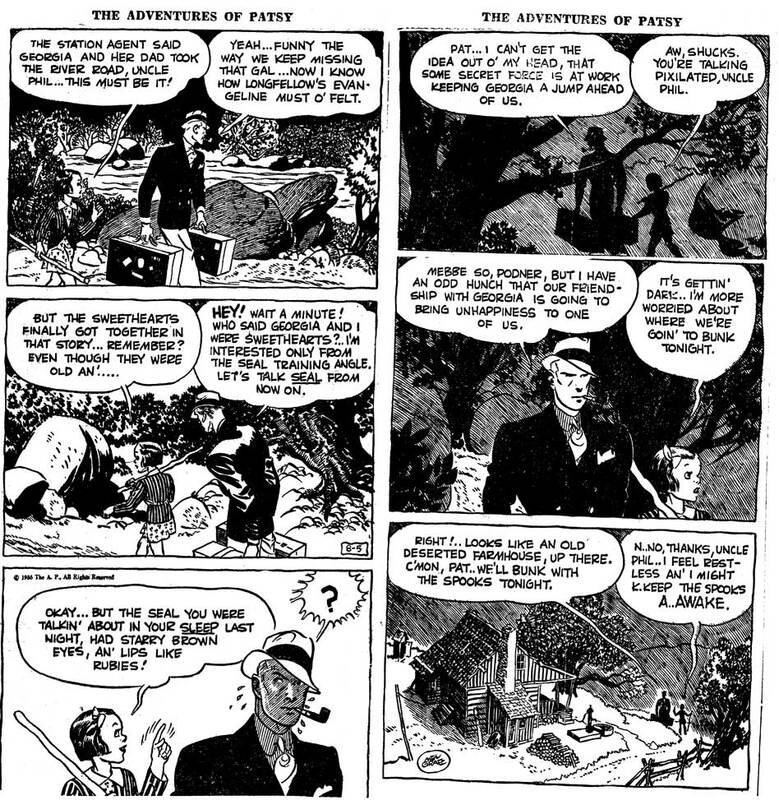 On the other hand I remember reading a piece by Toth where he wrote that Sickles did everything on the strips he ghosted. Guess we'll never really know for sure. 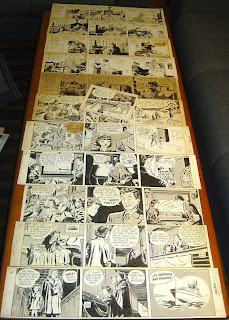 My dad, Mel Graff, admired Noel Sickles very much .. I have a modest reply from Sickles to a letter my dad wrote him in admiration. But there was never any ghosting. Patsy(? ): Thanks for setting us straight on the ghosting question! As you can tell I admire your fathers work a lot and have been collecting both original art and printed strips for years. If you want to share a scan or photo of that letter from Noel I'd love to see it. Or if you have anything else you want to share I'd be happy to show it on my blog. Mel Graff fans out there who would enjoy seeing it!